Treat your group to a customized culinary adventure! 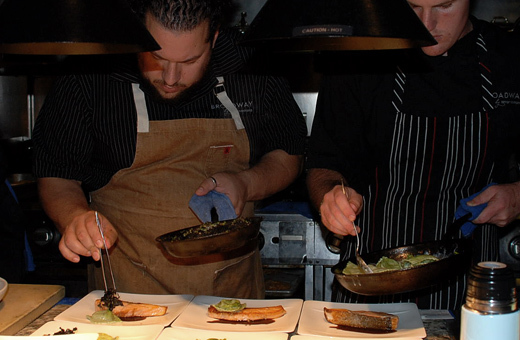 Laguna Beach Best plans creative culinary events for your most memorable, innovative group dining experiences in Laguna Beach. Laguna Beach Best knows every culinary entity in Laguna Beach, and excels at working with these culinary artists to create custom, fun events. Why bother with hundreds of ads or random Yelp reviews when we can easily direct you to the best experiences for you and your group? We work with corporate group meetings and celebrations; wedding rehearsals and receptions; bachelor and bachelorette parties; wedding and baby showers; and just about any other special even group celebration you can come up with. Contact us at (949) 637-1995 or simply complete the form below to get started with your group dining request! P.S. Need even more help around group activities and events? Laguna Beach Best can help you with those answers, too. Contact Us directly to talk with us immediately about your incoming group.